Pure Performance, Extreme GamingRadeon VII graphics are designed for pure performance, allowing gamers to dominate games by turning on max settings to get extreme framerates at the highest resolutions. 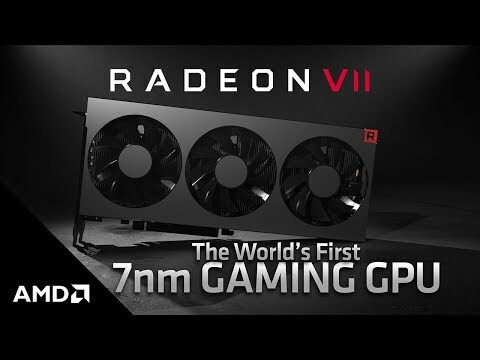 As the world’s first 7nm gaming GPU, Radeon VII takes graphics design to the next level. With 16GB of 2nd generation HMB2 memory, Radeon VII graphics deliver forward-looking technology to advanced, next-generation games with ultra high quality visuals. Ground-breaking 1 TB/s memory bandwidth paves the way for ultra high resolution textures, hyper-realistic settings and life-like characters to bring graphics-intensive gaming to life. 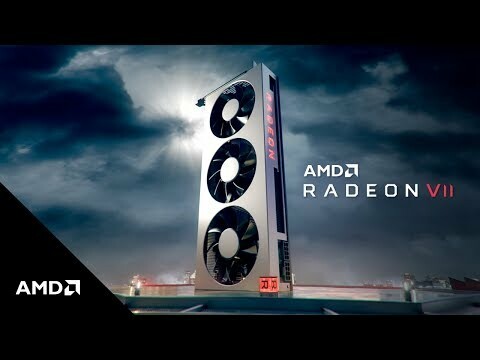 World’s First 7nm Gaming GPU with 16GB Memory AMD have designed the world’s first 7nm gaming GPU, with a massive 16GB HBM2 memory and lightning speed of 1TB/sec memory bandwidth, the Radeon VII has increased memory and memory bandwidth that towers above other GPUs in its range, the extra horse-power will help in providing more stunning visuals and greater performance in games and content applications alike. Work Flawlessly Even at 8K Resolution With Radeon VII graphics you can achieve seamless, high refresh, HDR gaming at 1080p, 1440p and 4K or power the next generation photo and visual creation applications on razor sharp, vibrant 8k monitors. State-of-the-art Radeon Software brings exceptional gamer-centric features, along with highly personalized intuitive out-of-box gaming experiences. Smooth Refresh Rate so you can Game at your Best Pair your new AMD Radeon VII GPU with a large selection of FreeSync gaming monitors. With such a wide array of monitors equipped with Radeon FreeSync or Radeon FreeSync2 HDR available you can enjoy choosing monitors that are styled and run how you want, but by choosing a monitor with FreeSync and combining it with an AMD card of this caliber the results will be a stutter-free, tear-free and artifact-free smooth gaming experience. PowerColor Radeon VII 16GB HBM2 VR Ready Graphics Card, 7nm 2nd Gen. Vega, 3840 Streams, 1400MHz GPU, 1750MHz Boost is rated 4.0 out of 5 by 1. Rated 4 out of 5 by Markyd91 from Great card. So this card has amazing build quality and the looks are spot on. The all aluminium build looks stunning and is solid. The red led's on the writing and logo glow enough to stand out but not so bright that it overpowers or is distracting to the eye. Running the latest drivers and the latest BIOS it's a great performer. I am running a 1440p 32" monitor @ 75fps and most titles stay locked at 75fps on ultra settings throughout. I have not overlooked or undervolted as yet as I have not felt the need. So I read and saw many reviews saying this card was hot and very loud, and it most certainly is. To the point you can even hear the fans with headphones on turned up loud. That said.. my monitor has a refresh rate of 75hz and so if I ensure VSync is activated and I frame limit in Watman to 75fps for each game then the card does not get loud or hot. The difference is mind blowing but its barely audible at all. Of course you can play with the fan curves to achieve similar effects but then your compromising on heating your components. So to summarise, if your playing games and want over 75fps @1440p then this card will do that but the fan noise is loud in doing so. 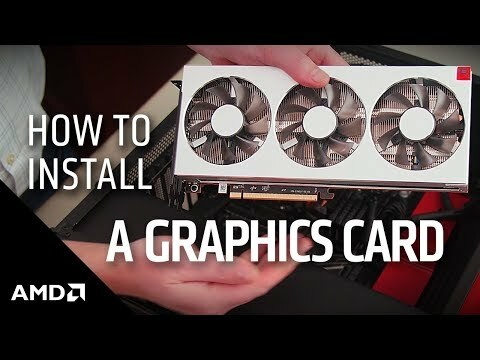 And if you are content to sit at 75fps on ultra settings then you will love this card. It will only get better with driver updates so I am happy with my purchase.